Sandwalk: What is the dominant view of junk DNA? 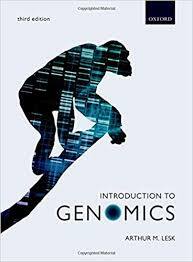 I recently bought the latest edition of Introduction to Genomics by Arthur M. Lesk to see how he treats genome composition. 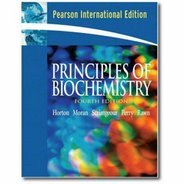 This is the third edition of a book that was first published in 2007 and it's a excellent book for learning about the common techniques in the field of genomics. However, it's not so good when it comes to discussing the big picture, especially with respect to the human genome. There's no discussion about the overall composition of our genome and how much of it is junk and no mention of the evidence supporting junk DNA. Nevertheless, the position of the author seems clear from the following passages. He is a supporter of option #3 and I suspect that's the majority opinion these days. Five Things You Should Know if You Want to Participate in the Junk DNA DebateThe fact that we can assign function to more than protein-coding regions is hardly a new idea so I don't know why he makes such a big deal of this fact. Furthermore, the idea that we dismiss as junk any DNA to which we cannot assign function is a serious misrepresentation of the junk DNA position. I think it reflects a general lack of understanding of the evidence for junk DNA [Required reading for the junk DNA debate]. I bet Joe Felsenstein will have something to say about selection for high rates of evolution by inserting spacers between genes. He can probably think of one or two faster, more efficient, ways of enhancing recombination if that were necessary to speed up evolution. As we have discussed many times, the idea that different transcripts are expressed in different cells is perfectly consistent with spurious transcription due to inappropriate binding of tissue-specific transcription factors. It is not evidence of function. Furthermore, lack of conservation is powerful evidence against function and it should not be dismissed lightly. I believe that this position will not stand up to close scrutiny but that's not the point. My point is that I think this is the dominant view of junk DNA. What do you think? 1. I suspect that almost everyone who argues for option #3 is a closet functionalist. I can't speak for most scientists, whatever you mean by that. But I think I can speak for the small segment of scientists who are phylogeneticists who have ever worked with introns or other presumed junk. The reason we use them is precisely because they're junk, i.e. evolving neutrally. Thus the evolutionary model needed to deal with them is simpler than it might be for sequences under selection, and they accumulate changes at a higher rate and thus produce more informative sites than sequences under purifying selection. Junk: can't beat it. Introns are not junk. The are seperating the exons for data compression purposes. Some genes can be expressed as dozens of distinct proteins, just by recombination of exons. In our age of biology, we know that living systems rely on information and information processing. Introns thus keep the information apart, they also readily take on TEs, which then affect biological networks. As redundant genetic elements of the genomes they may mutate a bit faster than non redundant elements. also read my book Darwin Revisited. Here's a link to a video discussion with Peter Borger who wrote "Darwin Revisited." Borger explains how recent developments in molecular biology can be more easily explained by creation than by evolution. If you watch the video, you won't have to buy his book. I suspect I don't have to buy his book even if I don't watch the video. And that saves watching the video. Bonus! 1) Apparently somebody did some gene knock out experiments on mice, and found that some of these knock outs did not seem to have any measurable effect on mice. That is taken to the conclusion that these genes can not have been selected by natural selection. 2) You would not expect DNA repair mechanisms under natural selection. 3) Natural selection keeps the status quo, and prevents evolution of organisms in any direction. 4) As "everyone in biology" today knows, information has nothing to do with matter, so DNA must have some "outside, immaterial source above matter". This proves biology has an "outside" source "above matter". Something about a guy with "a triple PhD" confirmed it. 5) Histone proteins are 100% conserved, they are exactly and completely identical in ALL organisms, ZERO differences between species. There are so many codes in biology, not just the DNA code. Histone codes, sequence codes, codes "almost beyond belief". 6) It is now proven that there is no universal common descent, and that has been proven that there was more than one origin. There is polyphyly instead of monophyly (a picture of a tree of life with a network webbing at the root is shown). This is "absolutely proven biological science". We don't come from bacteria, it is "absolutely not so". 7) The more you study biology, the more you realize it's a "design concept". Bla bla bla personal revelation, conversion in church, touched by God, babtised. 8) The "living spark" in vitalism is actually divine, and comes from the Holy spirit. It says so in the bible, apparently. 9) DNA is a four-dimensional computer program code. Whereas a "normal" computer code is only one-dimensional. 10) Apparently the immune system works by "genome compression" in some way, otherwise it the genome could not contain all the possible different antibody genes, which it has to be emphasized is a design and it comes from compression, not evolution. Definitely not evolution. It's just clever data compression. This also explains all the speciation after Noah's ark. 11) It's just compressed genetic "variability". It has to do with epigenetics, and transposons. Which is just God's way of making variety and beauty. It's "mistaken for evolution", but it's actually "pre-specified variability". 12) The final conclusion of his book is that "the genome itself generates the variability, so the role of natural selection is exactly zip". 13) Evolutionists and their just-so stories, they don't work. 14) In the last 15 years we have found completely new types of genes, RNA genes, which aren't translated into protein. They're ORFan genes, and they were first assumed to just be a fluke. 22 minutes in and I'm getting cramps from eye-rolling. I'm out. @Mikkel, many thanks for suffering through that. So I don't have to. These folks are really good at stating dramatic conclusions. Less good at saying why they can dismiss decades of work by evolutionary biologists. In this case, hundreds of years of work by geologists too. Borger is a funny guy. I read some of his claims on an internet forum and he had been shown some comparative DNA sequence data and claimed that the changes were so random that they were non-random. He also argued with Lynn Caporale that her own book supported design, not Darwin... IOW - the usual kook. Your guess as to what I would say is sound, so I won't bother saying it. Instead let me try to answer your main question as to what most scientists would say. Molecular evolutionists are solidly on your side (except for the usual 1% of crackpot contrarians that one finds in any field). Most other molecular biologists and genomicists are confused, have heard of ENCODE, know that we don't have a detailed knowledge of what is the function of everything. They may be tempted to consider the ENCODE 2012 announcement the last word. I *hope* that they have heard of the subsequent controversy. If they have they are, as you guess, likely to back off to the position that until we know all possible functions of all possible sequences, the matter is undecided (your position #3). It comes down to most people who are not molecular evolutionists failing to understand how strong is the indirect inference from (a) mutational load, (b) the Onion Test, (c) conservation, and (d) annotation of much of the genome as remnants of transposons and other selfish elements. They seem to think that we must await the finding of all function. I am an ecologist with strong evolutionary interests, and throw my lot with you, John, and Joe: Junk DNA predominates in the eukaryote nuclear genome. I find the mutational load argument for non-coding DNA especially convincing. However, this does not mean (and I know these are fighting words) that I necessarily agree with points of view defended by Stephen Jay Gould. Also, I find no contradiction in considering myself an adaptationist, given proper caveats such as vestigial structures, serendipitous benefits, and the need for proper evaluation of untested adaptive hypotheses based on natural (i.e., individual), kin, group, and sexual selection (which Darwin and other ecologists treat as a separate process because it does not produce authentic “adaptations”!). Molecular drift and junk DNA seem mostly irrelevant to the evolution of whole organism phenotypes found in nature. And Joe, I still think Darwin's view, admittedly in a passing comment, that polymorphic variation may persist because it is neutral got about as close to the concept of genetic drift as possible without a knowledge of Mendelian genetics. Haven't you recently, at least informally, acknowledged that human genome junk DNA could be as low as 60%? Correct me if I'm wrong, please! I'll do it for him: you're wrong. "I think that about 90% of our genome is junk and I know lots of other scientists who feel the same way." Would you agree that the number of scientists supporting this view has shrunk recently? Your friend and ally on Junk DNA, Dan Graur, has recently adjusted his views on junk DNA. He now thinks that ENCODE was only 60% wrong which makes evolution, as he has seen it, wrong. It will kill ID all the way to the root. Finnaly! How do you like it, Larry? I think you are about 80% wrong in reading that article. Perhaps you don't know what "at least" means? By using genomic data from 12 mammalian species and an estimation model that takes into account functional element turnover, Rands et al. (2014) estimated that 8.2% of the human genome is functional, with a 95% confidence interval of 7.1-9.2%. Because of the difficulties in estimating the functional fraction of the genome, evolutionary biologists treat such estimates as somewhat underestimated. Thus, a claim that 10% or even 15% of the human genome is functional would be tolerable. On the other hand, a claim that 80% of the human genome is functional (e.g. ENCODE Project Consortium 2012) is misleading in the extreme and logically risible. Jass, you didn't bother to check the journal reference at the bottom of the article, did you? From table 1, we see that even for unrealistically low estimates of deleterious mutation rates, the fraction of the genome that can be functional cannot exceed 25%. If the fraction of deleterious mutations out of all mutations in functional regions is even slightly >4%, then the fraction of the genome that can be functional becomes much lower. Realistically, the functional fraction of the genome cannot exceed 10–15%. These results agree with empirical estimates in the literature on the fraction of the human genome that is evolutionarily constrained (Rands et al. 2014). Emphasis added, in case you have problems spotting the relevant bits in a whole paragraph of text. How is Larry going write a book on the assumption that the functional fraction of the human genome cannot exceed 10%, meaning that 90% must be junk-DNA, if you have highlighted Graur's estimates that allow up 25% genome functionality? Can you see a problem here, possibly? The majority of comparative genomic studies suggest that less the 15% of the genome is functional according to the evolutionary conservation criterion with the most comprehensive study to date suggesting a value 5%. Ward and Kellis (2012) confirmed that approximately 5% of the genome is interspecifically conserved, and by using intraspecific variation, found evidence of lineage-specific constraint suggesting that an additional 4% of the human genome is under selection (i.e. functional), bringing the total fraction of the genome that is certain to be functional to approximately 9%. The journal Science used this value to proclaim "No More Junk DNA" (Hurtly, 2012), thus, in effect rounding up 9% to 100%. From table 1, we see that even for unrealistically low estimates of deleterious mutation rates, the fraction of the genome that can be functional cannot exceed 25%. If the fraction of deleterious mutations out of all mutations in functional regions is even slightly >4%, then the fraction of the genome that can be functional becomes much lower. Realistically, the functional fraction of the genome cannot exceed 10-15%. These results agree with empirical estimates in the literature on the fraction of the human genome that is evolutionarily constrained (Rands et al., 2014). I see a problem here and it's you. If you can't contribute something intelligent to this discussion then don't contribute at all. For info, Jass is 'J-mac' at TSZ. And, I suspect, the latest incarnation of Quest, who may in turn have been Witton revisited. Also he's "American Gothic" at Panda's Thumb". However, those 10% of scientists include virtually everybody who is a molecular evolutionist. In general, there is no real junk in the DNA. The information in the genomes that is evolutionary constrained (essential information) is low, about 25% would be my best estimate, the rest is non-essential or redudant information for variation, adaptation and speciation. The problem is that information is defined in a circular Darwinian way. Everything not conserved is not junk. This circular reasoning gives a false impression of genomes, which are designed to vary adapt and speciatie, to rapdidly fill all niches of the world. Evolution is a saltatnional process, not a Darwinian. The genomes prove it. Read my new book Darwin Revisited:Introns are not junk. The are seperating the exons for data compression purposes. Some genes can be expressed as dozens of distinct proteins, just by recombination of exons. In our age of biology, we know that living systems rely on information and information processing. Introns thus keep the information apart, they also readily take on TEs, which then affect biological networks. As redundant genetic elements of the genomes they may mutate a bit faster than non redundant elements. also read my book Darwin Revisited. Unknown: "In general, there is no real junk in the DNA. The information in the genomes that is evolutionary constrained (essential information) is low, about 25% would be my best estimate, the rest is non-essential or redudant information for variation, adaptation and speciation." Okay, so in your worldview three quarters of the genome is needed as a store of variation for adaptation and speciation. A few questions spring to mind: 1) by what mechanism does such voluminous DNA accumulate for that 'purpose', and how would you distinguish that from the accumulation of junk that is predicted to occur in a finite population with a non-zero mutation rate (e.g. Lynch 2007, 2011)? 2) In what way does the abundance of repetitive, broken retrotransposon copies in mammalian genomes reflect this 'design' for adaptation and speciation? Note I am not asking if transposable elements can play a role in evolution, I am asking if the retention of large volumes of non-functioning copies of retrotransposons is consistent with the view that there is no such thing as junk DNA. 3) What methods have you used to arrive at your personal, unreferenced estimate (25%) for the proportion of DNA undergoing purifying selection, given that it is higher than many modern published estimates? 4) Given your thinking, do you predict a positive correlation between speciation rate and genome size? "The problem is that information is defined in a circular Darwinian way. Everything not conserved is not junk." Nobody says that any "not conserved" sequence is junk. First of all conservation comes in degrees, and it is entirely possible that a non conserved locus having previously evolved at a neutral rate has recently come under selection because it has taken on some adaptive function. Conservation is an indication, not absolute proof. It merely makes it possible to do estimations. Your analysis is too simplistic, and exhibits typical creationistic dichotomous thinking. Mikkel, Please could you describe precisely why "too simplistic, and exhibits typical creationist dichotomous thinking" ? Larry, how is you book going? Is it already available or are you still working on it? There is compelling evidence that Darwinian change has little to do with some quite remarkable changes which enable an organism to rapidly adapt (or not, and fail) even in the F1 generation (Larmarkian-type change is well validated). It was otherwise believed that all profound changes came about via mutation and n.selection. But you guys also think you still need Darwin to power mass change to make new designs - you think. As stated, the evidence from both genetics and physiology is extraordinarily powerful for non-Darwinian origin of the major groups of life, but a development of life from those distinct and probably immutable groups. What we observe in the fossils is no Darwinian style changes whatsoever. The slow and gradual style of development isn't there, anywhere. If it is anything (and no-one denies change has occurred) then variations on an original theme of course figure, hugely. That is obvious, accompanied by extinction events. We do see stacked fossils in layers, but this demonstrates nothing of Darwin's idea, unless you want to attribute vast ages to each layer, which is not a good model, in many cases. Darwin was aware that this might be a problem, but believed it would be overcome with future discoveries. It hasn't been from the fossil finds, so what did scientists do? They started inferring all sorts of incredible homology stuff from the genes, which assumes, for example, that the ape to man transition occurred (chromosome change) somehow without killing off the species. Believers in this change will not, and cannot show a change control or functional specification diagram for the evolution of the chromosomal changes in man. This is required in engineering rather simpler man-made items, and fully necessary for this idea having the slightest chance of not being shot down by the problematic physiology it would trigger, and the serious (likely lethal) 'disadvantages' to the subsequent generations this could only have produced. If anything the science is even more equivocal, at best. That's not to say that direct evidence for a single 'creation' event exists, but the direction of travel now is strongly away from "Darwin only" and more in terms of bushes of highly active, rapidly adapting genomes that (as some point out) make perfect sense, when we look and notice how every last niche is STUFFED full of adapted life, but which still remains in groups common to the whole biome. There is no evidence anywhere that types of life were developed from other (proto) type-groups. The phyla, classes and many orders are distinct. Peter Borger is, I believe, on the right track. Well done Peter! Anyone who simply yawns arrogantly and refuses to read it, demonstrates their prejudicial bias against other workers who have laboured long to reveal potential new directions and more satisfactory answers towards universally acknowledge problems which, from many positions, look rather like dogma that has had its day and needs some fresh directions from new research. It's a well known pattern that reveals a lot about how they're thinking. It may not be just that ID advocates and creationists assume everyone is reading from some holy book. The Discovery Institute had, as a conscious and deliberate strategy, continually referring to evolutionary biologists as "Darwinists" so that could play the equivalence card. They wanted to be able to argue in court that since evolutionary biology was a religion of reverence for Darwin, that ID should be allowed into the classroom ("teach the controversy" being their slogan at one point). Jeanson is not an honest actor and definitely applies motivated reasoning in his arguments. In his "research" he goes looking specifically for evidence that he can cherry pick to bolster creationist claims while intentionally ignoring scientific data that challenges his creationist claims. In places where the fossil record is good enough this type of gradual change, with one species changing into another through the stratigraphic sequence, can indeed be seen. One example is the early Eocene of the BigHorn Basin in Wyoming (see papers by Phil Gingerich). So sorry about that Laurence. I hope the skeptic in you would rise to the occasion and examine the Jeanson book, giving it proper review. If you would like to correct me on any important points, that would be good. I have to say I have greatly benefited from reading Sandwalk. It is great collection of useful data and fair discussion. (I am not trolling, but like to challenge stereotypes, and assumptions which I feel are not worthy of science. I am not suggesting that is the case on these pages). Hopefully you might feel able to reply when you have got over the boredom I caused you. "Dr. Nathaniel Jeanson holds a PhD in cell and developmental Biology from Harvard University. He serves as a research biologist, author, and speaker with Answers in Genesis and formerly conducted research with the Institute for Creation Research." There is nothing that Jeanson could say that hasn't been refuted many times over the past few decades. There is no reason to think that Jeanson can overcome his biases and present a legitimate case against evolution. Accepting a Young Earth, as AIG does, would seem to disqualify Jeanson from being taken seriously as a scientist. I often wish that geologists and astronomers would do some of the work to refute outfits like AIG, but they seem to leave that to biologists. Have you had a listen to that recent episode of RadioLab where they look at the issue of Junk DNA? They attempt to answer the question: Why do Redwood trees have 8x as much DNA as humans. In exploring the answer to this question, they pick the right person to talk to: T. Ryan Gregory who then talks about the onion test, the numerous other species who have larger genomes than humans and the reasons for these large genomes: duplicated sequences, pseudogenes, transposons, etc. The interesting thing is both the RadioLab presenters and Gregory avoid controversy by carefully avoiding to use the word "junk" when describing these sequences but Gregory was quite explicit in emphasising that these sequences which make up the vast majority of our genome are non-functional. I listened to it last week and was very disappointed. I don't like RadioLab because they don't really conduct interviews. They chop up the words of their interviewees into little soundbites that are demeaning and uninformative. In this case they never came up with the right answer to the question. Redwoods have large genomes because they are full of junk DNA. It's not a problem that needs an answer so the RadioLab crew shouldn't have been shocked or surprised. The average person listening to this podcast will not learn anything important about genomes and evolution. Hi, just to chip in, from my point of view here in England most scientists would probably agree with point 3 with regards to the question. I'm a biology teacher and our syllabuses for 16- 18 year olds are quite lacking in genetics generally, but make perfunctory reference to non-coding DNA with functions. Don't ask me how perfunctory the teaching of evolution is for them and younger cohorts... Then at university here only a small fraction will be exposed to any detail in genetics as courses are so specialised. I wish you could have helped designed the syllabus Laurence, it would be much more interesting and accurate. People should look in plant genomes for the answer. In plants, basically everything that is more than 1000 bp away from a gene is not conserved between species. You hardly find any transposable element (TE) that is older than a few million years. Furthermore, number of genes is quite conserved (about 30,000), but genome size (i.e. TE content) varies enormously. Finally, most TE sequences are non-functional (i.e. fragmented by insertions of other TEs or by deletions). These points combined indicate that pretty much everything outside of "gene space" is junk. Gene space can be defined as the 30,000 protein coding genes plus relatively few non-coding genes.